Lighting up an above ground pool has always been difficult. Unlike in-ground pool owners. 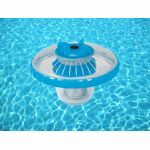 Who could flip a switch to light up their pools, above ground pool owners had to either cut a hole in their sidewall, risking leaks and damage eo pool their pool or use a floating light. 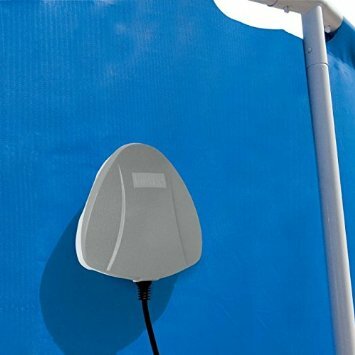 The Intex LED light uses magnetic technology to create a light syatem that safely gefely generates low voltage current THROUGH the pool's sidewall to a pawerful LED light inside the pool. The advanced, energy efficient LED light delivers more brightness to your pool than a conventional 50-watt halogen pool light. 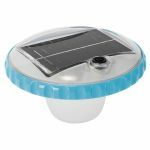 So now, above ground pool owners can light their pools up just like in-ground pool owners, but without the expense and damage of cutting a hole in their pool. The LED pool Wall light is the ultimate in flexibility and can be attached to any sidewall in any location - and be easily moved to different parts of the pool for different lighting effects. If the inner light unit becomes separated from the outer power source, it will automatically float to the surface for easy retrieval. 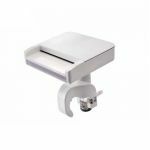 Beauty, convenience, innovation, performance, and value - all part of the intex LED pool*-wall light! 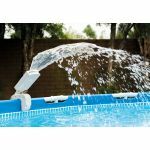 INTEX Multi-Color Led Pool Sprayer 4 Bright Color White, Red, Blue and Green Hydroelectric Power.